Dreamer shares the dream in the first-person, present tense. 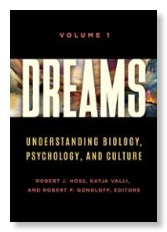 If the dreamer is sharing the dream without including feelings, the dream worker may interrupt the dreamer and solicit feelings and subjective experiences. After sharing the dream, the dreamer shares feelings aroused by the dream. 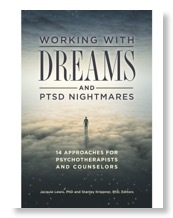 The dream worker identifies with the dreamer’s experience, and shares feelings that may arise. The dream worker/dream group may participate vicariously by saying, “If this were my dream, I can imagine myself feeling/thinking/assuming/acting...” This projective dream work is optional based on the dream worker’s style and philosophy, and protective measures in a group setting (such as prohibiting eye contact, and speaking to the group instead of the dreamer) may be implemented to make sure the dreamer’s autonomy is preserved. Amplification: The dreamer shares his or her associations with the images (amplification). The dream worker/dream group can also provide associations and ideas, as well (i.e. projective dream work), but this is optional based on the dream worker’s style and philosophy, and protective measures may be implemented to make sure the dreamer’s autonomy is preserved. Metaphor Analysis: What are the principal metaphors in the dream? What broad domain of experience does the image relate to? What concrete experience(s) of the dreamer anchors and makes understandable the broad domain? Dialoguing: As an added step, the dream worker/dream group may have the dreamer dialogue (role play) with dream images in order to enhance awareness and deepen the relationship with that part of him/herself. Experience with using Gestalt-congruent questions and prompts is important. 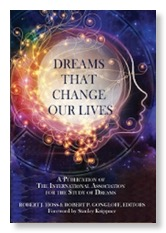 At this stage, the dream worker asks the dreamer, “What would you like to do differently if this dream should arise again?” You may engage the dreamer in Dream Reliving to explore the impact of new responses. Also ask the dreamer, “Where else in your life can this new response be helpful? 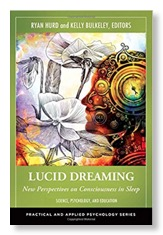 Where are you willing to enact this new response?” Any efforts to apply the dream in the dream state and/or waking life situations can be analyzed subsequently and new efforts formulated on the basis of the progress made or difficulties encountered.